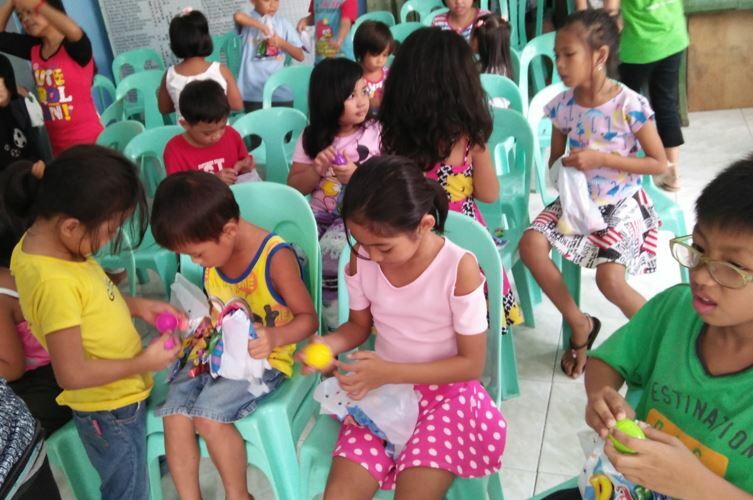 Jo Zarco of Toronto, Ontario extended the holiday cheer when she organized in January a party with the children at Avanai and Tandang Sora ANCOP villages in Manila. 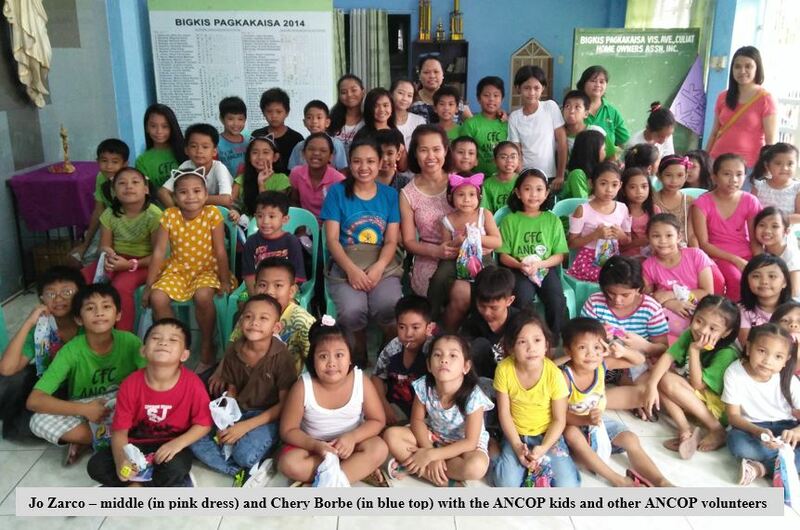 She distributed to 50 kids gifts and surprise treats along with prizes for the parlor games. According to Jo, she came up with the idea because she wanted to share her blessings with less fortunate kids. “I know that it would mean a lot to them,” she said. The kids especially the young ones were excited as Jo gave out sweet treats and toys that she brought with her. Initially she prepared for 15 kids, but the number had grown to 50. With Jo were her brother and sister, and a 5-year old niece. She was hoping that the experience would make her niece realize how fortunate she is to be blessed with a better life, and that she should be thankful for this. Jo’s sister used to do charity work, so she was able to help Jo with the games and program during the party. For Jo’s brother it was a new experience and it made him appreciate his situation in life and his happy childhood. Jo has been sponsoring 3 Filipino ANCOP scholars. She said that she believes in the ability of Filipino kids to succeed. Jo said that she hopes that her scholars would strive to finish their studies so as not to put to waste their sponsor’s hard earned financial support.